Heart disease, look around and you will find that it makes the news at minimum once every week. Most doctors talk about it with anyone over 35, and it can be a little some what scary if you don’t know all the facts. So what are the symptoms of heart disease? It has been categorised into several different types so symptoms will obviously be different for each; coronary artery disease, heart attack, arrthymias, atrial fibrillation, heart valve disease or congestive heart failure. These symptoms are different depending upon the severity and type of your heart condition. But you can learn to recognize them and the situations that cause them. You are your first line of defense against heart disease. Your doctor will only be able to help you if you know to call! Symptoms of heart disease in coronary artery disease is commonly angina. 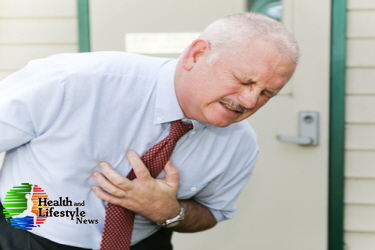 Angina is caused from the heart getting a decreased amount of oxygen. Imagine that you might have a muscle that isn’t getting enough oxygen. The muscle will decrease the efficiency of it’s work. For the heart that means that you’ll feel shortness of breath as blood isn’t pumped efficient through the lungs, and pain in the chest, shoulders, arms, neck, throat, jaw or back. Symptoms of heart disease and coronary artery disease can also include palpitations, a fast heartbeat, weakness or dizziness, nausea and sweating. These are symptoms that can come before a heart attack or myocardial infarction. Symptoms of heart disease and myocardial infarction (heart attack) are more intense symptoms related to coronary artery disease – discomfort pressure or heaviness in the chest or arm; discomfort radiating to the back, jaw or throat; feelings of fullness, indigestion or choking like heartburn; sweating, nausea and vomiting; extreme weakness and anxiety; or rapid irregular heart rate. During a heart attack symptoms can last about 30 minutes or longer and aren’t relieved by rest. Sometimes the symptoms start out quickly and painfully and at other times they may begin with mild discomfort and progress to significant pain. In fact, the symptoms of a heart attack can be different for one person if they have more than one event. Arrhythmias are when the electrical stimulation in your heart isn’t stable. You may feel palpitations, pounding in your chest, dizziness or light headed because your heart isn’t efficiently pumping oxygen to your brain, fainting, shortness of breath, chest discomfort or fatigue. Symptoms of heart disease also include atrial fibrillation which is particular type of arrhythmia. Most people who are experiencing atrial fibrillation will feel heart palpitations, lack of energy, dizziness, chest pain and shortness of breath. Symptoms of congestive heart failure are included in symptoms of heart disease because they are integral to heart disease. Congestive heart failure can be caused by an over worked heart that can happen with high blood pressure or if a patient has had a previous heart attack. Symptoms will include shortness of breath, a cough that produces white mucus, a quick weight gain of 2-4 pounds in one day is possible from fluid, swelling ankles, fatigue and chest pain. Previous articleNatural Weight Loss is There Really Such a Thing? Next articleWhy Can’t I Fall Asleep?